The rapid pace of technology evolution isn't likely to slow down in 2019. As companies face an ever more competitive marketplace, they will need any advantage they can get. Emerging HR solutions are empowering stakeholders to make smarter decisions, automate tedious processes and better engage with the workforce. Anyone who has been in the HR field for any length of time has seen the power of analytics. Over time, data-driven reports can give leaders unprecedented insights into the workforce. For example, HR leaders have utilized analytics platforms to track and predict employee retention rates. In 2019, analytics solutions are likely to get even more sophisticated, offering unique insights into how employees bring value to the company. By integrating data from disparate systems within an organization, analytics has the power to paint a picture of HR trends and how they impact the future of the organization. Expect analytical models to become more precise in their conclusions and broader in their scope this year. It's not just for video games. 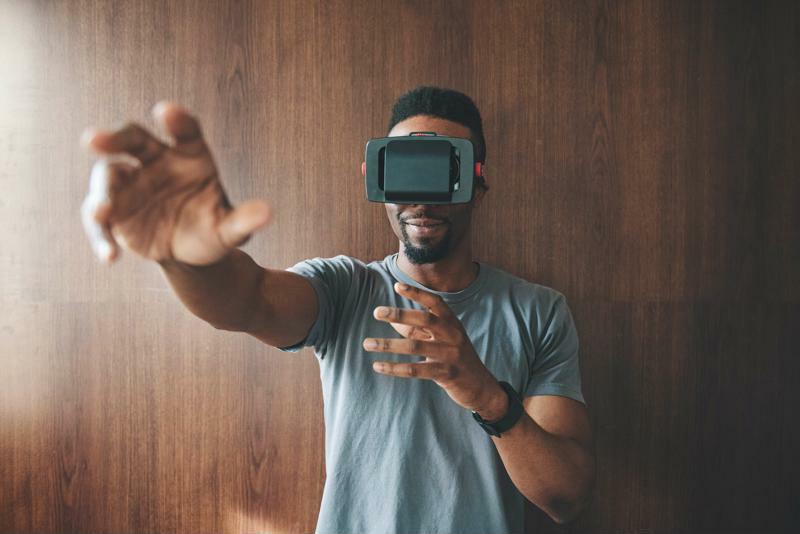 Virtual reality offers HR leaders a number of engaging solutions to common challenges. Most notably, VR has been used to assist training sessions, providing users with a new perspective on common tasks. For instance, maintenance professionals can leverage VR simulations to conduct complicated repair jobs on expensive assets before attempting the task in real life. In an office setting, employees can use VR for training purposes, such as interacting with clients or practicing tasks in a safe setting. Likewise, augmented reality solutions - which display digital elements over the real world - can give employees notifications and instructions, even when they aren't actively using a device. VR can be a powerful training tool. Over the years, computers have gotten better at recognizing meaning in words written and spoken by humans. Today, you can speak with your digital assistant in almost the same way you'd interact with another person. You just have to ask Amazon's Alexa what the weather will be like tomorrow and the robotic device will give you a full report. In the workplace, natural language processing algorithms may be able support HR staff by sorting through digital paperwork and pulling out the most important information. Added to the candidate screening process, such technology can support candidate qualification tasks. One of the reasons people enjoy playing games is the sense of accomplishment they can provide. Unlike in the real world, where it often takes days, weeks or years to see their fruits of one's labor, video games provide immediate feedback. When a player's character performs a specific task, they gain experience points, level up and learn new abilities. HR leaders can take a page from the video game user's manual by applying these concepts to training sessions. For example, workers in a training program could get points for each session completed and badges when they pass tests. A recent study from IWG revealed that 70 percent of employees work remotely at least once per week. As this number rises, HR personnel will have to adapt to a workforce that is increasingly spread out. "We are truly in a global work environment and we are seeing the demand for remote technology solutions grow more every year," says Laura Snyder, Senior Business Development Manager for Beacon Hill's Technologies Division in Cleveland. "Companies are being challenged to do everything from interviews to employee collaboration through remote technology. We have seen tremendous advances in this space and I anticipate we will continue to see the technology and need grow. This is really a great tool as it allows us to drastically expand the candidate pool to find the talent our clients seek." Adopting collaborative technology such as cloud-based file sharing systems can give workers the ability to remain productive, without introducing complicated security issues. Similarly, more companies will likely integrate more mobile solutions alongside traditional desktop deployments of company software. Technology is important, but it can only provide value when it supports teams of talented professionals. To learn more, check out our resource center today.